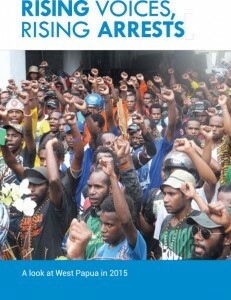 As part of a recently published compilation of human rights reports on West Papua, Papuans Behind Bars reported an overall decrease in the number of West Papuan political prisoners. This trend, however, has not translated into a reduction in the incidence of abuse, harassment, and intimidation of West Papuan activists and their supporters across Indonesia. This update, produced by Papuans Behind Bars (PBB), focuses on exposing police and military intimidation of West Papuan students and civil society groups outside of West Papua between September and December 2017. The reports were compiled by the Papuan Students Alliance (AMP) in Java, and the West Papua National Committee (KNPB) Consulate in Manado, and verified by Papuans Behind Bars researchers. Taken together, the cases presented in this brief report demonstrate a disturbing trend of civil and political rights violations, limiting freedom of expression and assembly. The frequency of arbitrary arrests further underscores the denial of the right to liberty for people working for social and political justice in West Papua. The purpose of this update is to show that systematic violations of West Papuans’ rights happen not only inside West Papua, but also throughout Indonesia. In recent years, West Papuan student dormitories have been targeted by the police, military, and local militias. The case of Obby Koyoga, arising out of a three-day police siege of a West Papuan dormitory in Yogyakarta (14 -16 July 2016), is an infamous example, and one condemned by hundreds of Indonesian civil society groups as racist and discriminatory. PBB believes that there are many other similar incidents that are not reported, as patterns of abuse and intimidation are often normalised by many West Papuans. PBB will continue to report this type of intimidation in the future, with a view to better understanding, documenting, and exposing the many forms of discrimination against West Papuans and their supporters, and the suppression of their civil and political rights. At approximately 7.30 am on Sunday, 17 September 2017, three plainclothes police officers visited Kamasan V West Papuan student dormitory in Manado, the capital city of North Sulawesi. They were reportedly looking for both the head of KNPB Consulate, and head of the dormitory, each of whom were away from the premises at the time. Not finding the persons they were looking for, the police then asked all of the dormitory residents to gather for a group photo. None of the students consented, despite police reportedly stating that they received an order from the police chief to build a “special relationship” with West Papuans. No warrant was provided. Two days after the visit at Kamasan V, at approximately 10:30 am on 19 September 2017, five armed police officers burst into the kitchen of Cenderawasih V, another West Papuan student dormitory in Manado. While surveying the residence, they took photos of the Morning Star symbol depicted in the entryway and the courtyard. They left when students protested. Later that day, at around 2.15 pm, a larger force of police returned, with seven cars and six motorcycles, as well as some high level officers. Twenty-five students were arrested and brought to the local police station for interrogation before being released later that day. nearly broke out between police and students. Police had erased the symbol by midday. Shortly thereafter, eleven police officers came to relieve the initial group, and remained there until 7 pm. One week later, police returned to Cenderawasih V on 16 November to talk about radicalism.Police also insisted that the Morning Star symbols, repainted since the previous incident, must be erased. On Wednesday, 4 October 2017, at around 3 pm, eight police officers wearing body armour and helmets visited Kamasan VIII West Papuan student dormitory in Tomohon, a small town around 50 km from the provincial capital of Manado. Police wanted to take pictures of every single student residing in the dorm. None of the students consented, and reported feeling terrorised after the police departed. Government-sponsored Central Mamberamo student dormitory in Bandung was visited twice by police and plainclothes security forces during the period from September to December 2017. This follows several other police visits in the recent past, none of which had been publicly reported. On 24 October 2017 at approximately 10 am, four uniformed police officers and three plainclothes agents entered the building unannounced and without warrant. The security forces searched each bedroom, and asked for personal information of every student residing there, inquiring particularly into their daily activities and potential affiliations with student groups. A subsequent incident occurred on 1 November 2017 when eight police officers, one military officer, and two plainclothes agents entered the dormitory without permission at approximately 12 pm. The security forces interrogated each student, searched their bedrooms, and forcibly checked their mobile phones. The students reported that they felt terrorised by this incident. Ikatan Mahasiswa Papua (IMAPA) or the Papuan Students League, held a 3-day seminar (3 – 5 November 2017) to welcome new West Papuan students to Malang. Malang is the second largest city in the province of East Java, and is located approximately 95 km from Surabaya, the capital of East Java. The purpose of the seminar was to provide new students with orientation information including topics such as adapting to living away from home, and opportunities for various extracurricular activities. At around 7 pm, security forces arrived uninvited at Villa Holanda, a private house on the mountain-side of Malang where the seminar was being hosted. 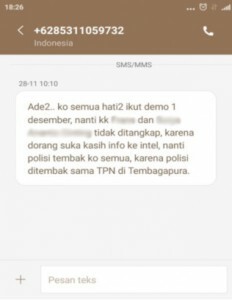 On the second day, local police pressured the owner of the venue to submit a permit request to them, despite there being no legal requirement to ask for police permission to hold a gathering at a private residence. Upon threats that the event would be forcibly dispersed, two students submitted a permit request and were heavily interrogated at the time of submission. On 5 November, seven police officers including the head of the Malang police force, arrived during the closing of the West Papuan students’ seminar. In addition to creating an intimidating atmosphere, the police asked for the full list of seminar participants and the names of West Papuan students attending. At approximately 3 pm on Friday, 17 November 2017, more than a dozen security forces personnel burst into a house rented by West Papuan students in Jember, East Java. Three students who were sleeping in their rooms were woken and beaten, and their rooms ransacked. One Papuan student who attempted to document the abuses was subsequently questioned and prevented from taking any documentation. The following day, the victims were taken to Jember police station. Police clarified to the students that they were not involved in the incident, they claimed that it was carried out by the members of the military. On 15 December 2017, two plainclothes police officers came to Jayawijaya West Papuan student dormitory in East Jakarta asking for the head of AMP Jakarta’s whereabouts. AMP is a peaceful organization established on 27 July 1998 by West Papuan students based in Java and Bali. The main goal of this organisation is to achieve West Papua’s right to self-determination. It regularly holds protests across Java and Bali on significant historical dates for West Papua. Consequently, they have been victims of intimidation and mass arrests. KNPB Indonesia Consulate is a branch of the KNPB organisation based in Manado, Sulawesi. It was established on 26 March 2016. They hold peaceful protests and other non violent actions on significant historical dates for West Papua advocating for the right to self-determination. They have been victims of intimidation and mass arrests. Ethnic-based student dormitories are a common feature on or near post-secondary campuses across Indonesia. They provide affordable housing options for students studying away from home. Some are sponsored by regional governments, while others are privately managed. Jember is located east of Malang in the province of East Java, approximately midway between Surabaya and Denpasar, Bali. A plain clothes police officer uses his foot to push Obby Kogoya’s face into the ground. Obby Kogoya, a victim of degrading treatment, was found guilty of attacking police officers by a district court yesterday in Yogyakarta, Indonesia (27/07/2017)). Rights activists condemned the ruling as racist and unjust. The verdict is part of the aftermath of one of the most racially-charged incidents targeting West Papuans that has occurred in recent years. The incident in question occurred during the three-day siege of a West Papuan dormitory located in Yogyakarta (14-16 July 2016). Hundreds of police officers and civil militia prevented West Papuan students from holding a peaceful demonstration in support of the United Liberation Movement for West Papua’s (ULMWP) application for full membership status in the Melanesian Spearhead Group (MSG). Dozens of students were prevented from either entering or exiting the dormitory. Police prevented anyone, including the Indonesian Red Cross, from delivering food and water to the students inside. Tear gas was utilised by police multiple times. The students were continually met by racially-charged physical and verbal abuse. More than one hundred civil society organisations across Indonesia condemned the incident as racist, discriminatory, and a violation of the right tofreedom of speech. On the second day of the siege, Obby Kogoya and eleven other West Papuan friends came to the dorm to deliver cassavas for the trapped students. They were attacked, beaten, and kicked by police and the civil militia, and subjected to verbal racial abuse. At this time, the infamous photos of Obby Kogoya receiving degrading treatment were captured (photos at top). Eight people including Obby Kogoya were subsequently taken to the police headquarters. Obby was the only one who was charged. He was cited under article 212 of penal code for the alleged crime of attacking police officers. Over a year later, the court finally delivered its judgment. Obby Kogoya was found guilty and sentenced to four months in prison with one year probation. His defence lawyers, the Yogyakarta Legal Aid Institute, published a statement criticising the decision as racist. They stressed that the evidence of Obby Kogoya attacking police officers was not established during the trial. Further, while his lawyers also reported on the degrading treatment that Obby received from the police over the past year, there has been no sign of any follow-up investigation conducted by police. Obby Kogoya and his lawyers are presently discussing his option to appeal the verdict. The report shows a change in the pattern of charges. In a positive development, the use of treason charges under Article 106 of the Indonesian Criminal Code against political detainees decreased significantly and the use of the controversial Emergency Law 12/1951 ceased altogether. However, the use of charges of incitement under Article 160 of the Indonesian Criminal Code increased. Although the number of cases of torture of detainees on arrest and in detention decreased significantly, reports of torture outside of detainee cases remain frequent. The report also gives evidence that ill-treatment of detainees is on the rise. In 2015, 690 cases of ill-treatment of detainees were recorded, more than four times as many as than in 2014. Testimonies from political prisoners highlight their concerns over being denied visits from their families, being under constant surveillance and poor or complete lack of access to medical treatment. This echoes promises that the Indonesian government made during the country´s previous Universal Periodic Review (UPR) in 2012, promises that it has yet to follow-up on. Indonesia’s human rights record will come under the international spotlight again for the country’s UPR in 2017. PBB’s 2015 report calls on Indonesia to “Allow free and unrestricted access for all UN Special Rapporteurs wishing to visit and report on Papua.” Ahead of the 2017 UPR, it urges the Government of Indonesia to take meaningful actions in-line with their international human rights commitments towards ending arbitrary arrests, torture, and ill-treatment of detainees, as well as to address ongoing impunity within the security forces. At the end of December 2015, there were at least 35 political prisoners in Papua. Indonesian security forces reacted to commemorative events of 1 December with killings, torture, mass arrest, ill-treatment and excessive use of force against indigenous Papuans. 1 December marks the date which West Papuans consider to be their national day, although this is not recognised by the Indonesian Government. On Yapen Island, four people were killed and at least eight others injured as a result of shootings by Yapen Regional Police during a raid on a commemorative flag-raising ceremony in an area where National Liberation Army/Free Papua Movement (Tentara Pembebasan Nasional, TPN / Organisasi Papua Merdeka, OPM) members were allegedly active. In Jakarta, at least 306 people were arrested and at least 133 suffered serious injuries due to police brutality. Two female Papuan protestors faced sexual abuse by Jakarta Metro police officers (Polda Metro Jaya) and two foreign journalists who attempted to report on the event faced police intimidation. In Nabire, 49 people were arrested in two separate incidents in relation to peaceful commemorative activities. Many of those involved were severely beaten by Nabire police and Mobile Brigade (Brigade Mobile, Brimob) officers, including a Papuan journalist attempting to report on the arrests. While this recent spate of arrests is unsurprising given the pattern of systematic repression of freedom of assembly and expression during significant commemorative dates, the scale of arrests recorded this year is far greater than that of recent years. In the last three years, from 2012-2014, at least 11 people have been arrested for commemorating 1 December, while 42 people have been arrested for commemorating 1 May, which marks the administrative transfer of Papua to Indonesia. By comparison, in 2015 alone, 264 people were arrested in relation to 1 May while 355 people were arrested, four killed and at least 145 suffered injuries due to police and military action on 1 December. The huge jump in the number of arrests of peaceful demonstrators commemorating significant dates this year is at odds with President Jokowi’s message of securing human rights and bringing peace to Papua. Additionally, police action in Jakarta confirms that Papuans who express their opinions remain at risk of arbitrary arrest and ill-treatment throughout Indonesia, and not only in their home region. The extrajudicial execution and torture of four people in Yapen island, two of whom are reported to have belonged to a faction of the armed pro-independence group, TPN-OPM, is of particular concern. Such reckless and cruel methods used by security forces demonstrate their complete lack of respect for the basic human rights of Papuans living in areas reported to be high in pro-independence activity. Papuan and Jakarta-based civil society groups reported that 355 people were arrested and at least 145 were injured due to excessive use of force by state security forces towards participants commemorating 1 December in Jakarta and Nabire. 1 December marks the date which West Papuans consider to be their national day. In a separate incident, four people were killed and eight others seriously injured during a military raid on a commemorative flag raising ceremony in Wanampompi village in Anggaisera District, Yapen Island. As there were no arrests in this case, we have filed this case under ‘Cases of Concern’. On 1 December 2015, 306 people were arrested in Jakarta after attempting to conduct a long march. Most of those arrested were Papuan students who were members of the Papuan Student Alliance (Aliansi Mahasiswa Papua, AMP). According to comprehensive reports from AMP, at least 133 people suffered injuries and/or health complications when Jakarta Metro police officers (Polda Metro Jaya), uniformed and plainclothes intelligence officers, and Brimob officers attempted to forcibly disperse demonstrators by beating them and firing tear gas in their direction. Two female protestors faced sexual abuse by police officers when they were stopped on their way to join the demonstration. Two foreign journalists faced police intimidation and harassment. One of them, Archicco Guilianno from Australia Broadcasting Corporation (ABC), was beaten by a police officer. At 10:43, the first group of demonstrators attempted to join another group of demonstrators that had gathered at a second location nearby, but were blocked by security forces. At 11:00, after another failed attempt at negotiating with the police, demonstrators attempted to break out of the police blockade three times. Police reportedly reacted by firing tear gas, throwing sticks and stones, and firing one blank round and one live round at demonstrators. Niko Suhun, a 23-year-old Papuan student and AMP member, was shot in the head with a rubber bullet and collapsed on the spot. Police continued to beat him with batons when he was unconscious. Zet Tabuni, a 26-year-old AMP member, was beaten when he attempted to help Niko Suhun when he collapsed. Tabuni was reportedly punched on the temple by a police officer wearing a knuckleduster ring. Reports stated that from 11:00 to 12:20, police continued to contain the group of demonstrators, kicking and beating them with rattan canes. At around 12:20, police began rounding up demonstrators and forcing them onto buses to be detained in Jakarta Metro Police Headquarters (Polda Metro Jaya). According to an AMP report, at least 133 people suffered injuries from tear gas inhalation and excessive use of force employed by police officers. 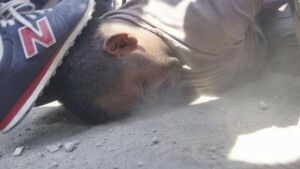 Local sources collected detailed information on 13 demonstrators that suffered ill-treatment during the demonstration. Two female demonstrators – Eka Kosay and Martina Douw – faced sexual assault and harassment by police officers when they were on their way to join other demonstrators at the Hotel Indonesia roundabout. Information received by credible local human rights sources reported that at around 08:35, a second group of demonstrators gathered outside the German Embassy, close to the Hotel Indonesia traffic roundabout, were similarly contained and guarded by Jakarta Metro police and Brimob officers. Attempts to negotiate with police to allow them to continue with the planned march were unsuccessful. At around 11:10, police announced to demonstrators that the gathering was only allowed until 12:00. At 12:00, at least 151 demonstrators were rounded into Crowd Control (Pengendalian Massa, Dalmas) vehicles to be detained in Jakarta Metro Police Headquarters. 22 demonstrators gathered at a third location were similarly arrested and brought to Jakarta Metro Police Headquarters. Two foreign journalists faced intimidation and harassment while reporting on the AMP demonstration in Jakarta. Archicco Guilliano from Australia Broadcasting Corporation (ABC) was struck by police officers when he refused to cede to their demands of erasing footage he had recorded that documented violence inflicted on demonstrators. Stephanie Vaessen from Al Jazeera was reportedly filming the demonstration on her mobile phone when she was approached by five police officers who ordered her to delete the footage. When she refused, the police officers reportedly snatched her phone and deleted the footage before returning it to her. According to AMP demonstrators who were detained in Jakarta Metro Police Headquarters, police intimidated and threatened the detainees. At around 17:00, all but 22 demonstrators were released from detention. The 22 people remaining in detention underwent further interrogation. At 11:00, 20 of the 22 detainees were released. The two remaining detainees, Enos Suhun and Eliakim Itlay, were charged with violence against persons or property, incitement, violence or threat of violence against a state officer and maltreatment under Articles 170, 170, 212 and 351 of the Indonesian Criminal Code. On 4 December, the two men, who are students at a vocational teaching college in Tangerang (STKIP Surya Tangerang) were released from detention at Jakarta Metro Police Headquarters. According to lawyers with LBH Jakarta, their case has been dropped by the police. According to reports from a Nabire human rights investigator, 49 people were arrested in two separate incidents in relation to activities commemorating 1 December. On 28 November 2015, 17 Papuans were detained by Nabire police and Brimob officers when they attempted to clean a site at Bunga Bangsa Papua Field in preparation for a prayer session in commemoration of 1 December. The 17 men were detained overnight and released the following day. On 1 December 2015, 32 Papuans were arrested when they assembled at Bunga Bangsa Papua Field to participate in the commemorative prayer session. Police officers forcibly dispersed the crowd, reportedly beating people with rifle butts and wooden beams. The 32 detainees were interrogated at Nabire Regional Police Station before being released without charge. Reports from local human rights sources stated that at least four of the detainees sustained injuries due to police beatings. 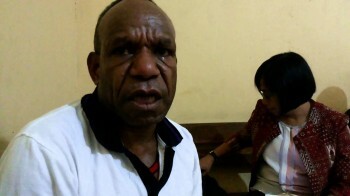 According to a report, Topilus B Tebai, the editor of Papuan news site Majalah Selangkah, was intimidated and harassed by Nabire Regional police officers while reporting on the planned prayer session. Tebai was taking photos of police activity at the scene when he was approached by two police officers who stopped him and asked for his camera. The report further states that one of the police officers then tried to kick him. When he told the police officers that he was a journalist and showed his press card, they began yelling at him and demanded to speak to his superiors. 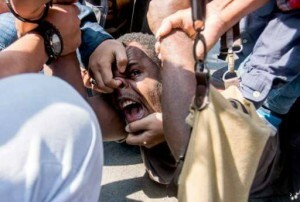 When Tebai protested, five more police officers forcibly removed his camera, kicked him and removed him from the area. According to local human rights sources, on 2 December 2015, KNPB Merauke activist Emerikus Kakupu was arrested for possession of Morning Star and KNPB flags by Merauke Regional Police. He was detained by five police officers outside an embroidery shop where he had collected the flags. According to KNPB sources, the owner of the embroidery shop allegedly reported Kakupu to police when he collected the flags from the shop. Kakupu was questioned for several hours before being released without charge. He was reportedly required to report to the Criminal Investigation Unit (Kasat Reskrim) the following day. On the morning of 19 December, at least 23 student activists belonging to the AMP were detained by Metro Jaya District Police (Polisi Daerah Metro Jaya, Polda Metro Jaya) and Brimob officers in Jakarta. AMP activists had gathered in remembrance and protest of Operation Trikora that took place 54 years ago on 19 December 1961. Operation Trikora was an Indonesian military operation aimed at seizing what was then Dutch New Guinea. The 23 student activists were detained for several hours at the Metro Jaya District Police Station before being released at 17:30 the same day. According to representatives from the Jakarta Legal Aid Institute (Lembaga Bantuan Hukum Jakarta, LBH Jakarta), police stated that the reason for their detention was that the activists had not submitted a notice of demonstration and that the demonstration contained pro-independence sentiment. Odie Aitago was sentenced to seven months’ imprisonment and is likely to have been released on 15 December. He was arrested on 15 May 2015 alongside Obed Korie, who was released in October, for participating in a demonstration against palm oil plantation company PT Permata Putera Mandiri (PPM) in Sorong. Human rights lawyers accompanying Apolos Sroyer, Dorteus Bonsapia and Wamoka Yudas Kossay reported that on 7 December 2015, the three detainees were sentenced to 10 months’ imprisonment each after being found guilty of incitement under Article 160 of the Indonesian Criminal Code. On 20 May 2015, the three men were arrested for demonstrating their support for a bid by ULMWP for membership in the Melanesian Spearhead Group (MSG). On 28 December 2015, recently freed ex-political prisoner Filep Karma visited the three detainees in Biak prison to express his solidarity. Information received by local human rights investigators stated that on 1 December 2015, four people were killed and eight others seriously injured by military officers from Military District Command 1709 and Yapen Regional Police during a security raid in Wanampompi village in Anggaisera District, Yapen Island regency. The local community were reportedly taking part in a flag-raising ceremony in commemoration of 1 December when the raid took place. On 1 December 2015, at 06:00, a joint security task force conducted a patrol in Wanampompi village in Anggaisera District, Yapen Island Regency. The task force consisted of officers from the Yapen Regional Police (Polres Yapen) and Military District Command 1709. Reports received stated that the local community and members of the TPN/OPM had participated in the flag-raising ceremony. According to reports from local sources, Yonas Manitori, reportedly a TPN-OPM member, was shot and killed when he approached the security convoy and questioned the purpose of the patrol. Upon seeing this, Herik Manitori, a local TPN/OPM leader, and another man, Yulianus Robaha, attempted to come to the aid of Yonas Manitori, but were both shot. When other villagers attempted to help the three men, security forces allegedly reacted by firing shots at them. The shootings led to death of another villager, Darius Andiribi, and seriously injured eight other people. Upon being shot, Herik Manitori and Yulianus Robaha were both dragged onto trucks and tortured to death. Herik Manitori’s stomach was torn open with a bayonet and his right eye was reportedly dug out. Both of Yulianus Robaha’s legs were reportedly amputated. According to KNPB report, his amputated left leg was never found. His stomach was reportedly ripped open. Eight other people suffered serious gunshot injuries. Reports stated that Wanampompi villagers fled the shootings and that many were still hiding in surrounding forests up to a week after the incident. Komnas HAM Papua representative Frits Ramandey stated in media reports that a team had been sent to Wanampompi village to investigate the incident. He stated that investigations showed that a gunfight had erupted between the security convoy and TPN/OPM following the flag-raising ceremony. Sr. Comr. Rudolf Patrick told the Jakarta Post that the internal affairs division of the Papua Police, or Propam (Provos Pengamanan, Provost Security) had examined 25 police personnel involved in the raid. On 8 December 2015, Papuan human rights coalition SKP HAM Papua (Solidaritas Korban Pelanggaran Hak Asasi Manusia, Solidarity for Victims of Human Rights Violations) held a film screening and press conference in commemoration of the first anniversary of the ‘Bloody Paniai’ incident. On 8 December 2014, four teenagers were killed and at least 17 others were injured when security forces opened fire into a crowd in Enarotali district, Paniai regency. The crowd had gathered to protest the ill-treatment of three boys by military officers the day before. Komnas HAM investigations into the incident has been fraught with irregularities. After four months of investigations, Komnas HAM recommended the formation of a pro-justicia inquiry team but little progress has been made since. Investigations had reportedly stalled due to a shortage in funding and an unwillingness from victims’ families to conduct exhumations and allow autopsies. While police and military authorities have also conducted their own internal fact-finding investigations into the incidents, the results of these have not been made public. 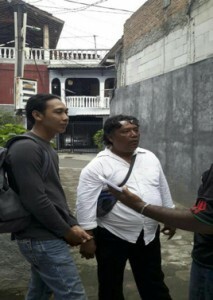 Human rights lawyers from KontraS Papua reported that Jayapura police investigating the case of Dr Don Flassy, Dr Lawrence Mehue, Mas Jhon Ebied Suebu, Onesimus Banundi and Elias Ayakeding were not able to secure evidence needed to prosecute them under charges of treason. On 14 April 2015, the five men were arrested following a meeting days earlier with the Indonesian Minister of Defense, General Ryamizard Ryacudu. On 5 May 2015, the five men were released on bail but remained under city arrest and were obliged to report weekly to the police. It is unclear if the police will continue to pursue this case. Reports from their lawyers indicate that it seems unlikely that the five ex-detainees will be taken to trial. We will continue to report on this case should any new developments come to light.